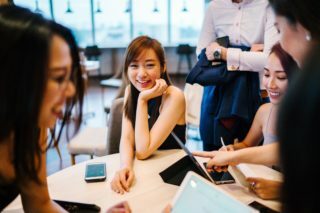 The Internet and a cost conscious business economy has opened the doors for a new breed of entrepreneurs who follow the modern concept of SoHo (small office-home office) working. Yes! There are more and more people working from home and some of the big corporations like Microsoft also allow some of their employees to work out of home. If you are planning to launch your business from home then you will require a basic infrastructure, which includes office furniture. What type of office furniture will be great for my home office? The most important thing that you need to remember is that your home office furniture should be ranked high on functionality and at the same time, should be comfortable. Whether you are operating an event management company, a graphic design company or a real estate business, you will need at least some work stations or tables and chairs and some guest chairs like the ones you see in the reception areas. Having a home office doesn’t mean that your clients might not visit your office. So you need to be prepared for every eventuality and having office furniture will create office environment at home. Specific attributes for your home office desk set Here are some things that you need to consider: Function: You need to first identify the function of your desk. Will you be using it to keep the fax machine, to install a computer on it, to use it only for writing and filing purposes or for standard use? It is an important aspect as it will help you to choose the right table/desk depending on the functionality. Space: The next important thing to identify the amount of space in your home office. 3. Plastics are not environmentally safe and low on durability but are good for those who don’t have a high budget Specific attributes for your home office chair. There are different types of chairs available and some of them even have multiple features like swivel chairs, recliners, stack chairs, guest chairs, and different capacity chairs. While choosing a chair, here are some things that you need to consider… Size: Most chairs vary in height from 16-21 inches so that you can adjust the chair according to the height that is right for you. 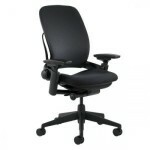 Ensure that the seat is at least 17-20 inches wide and the ideal size for the backrest is 12-19 inches wide. 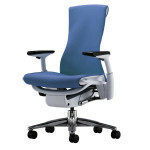 Material: While checking the chairs, find out if they have been made from breathable fabric, which is considered to be the best. 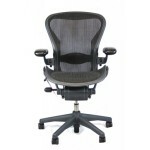 If you want the best deal on one of the hottest chairs on the maket, you will want to check out the Herman Miller Aeron chair. 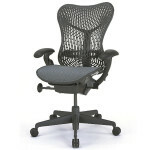 Of course, we have plenty of to choose from in our selection of used office furniture and new office furniture catalogs.